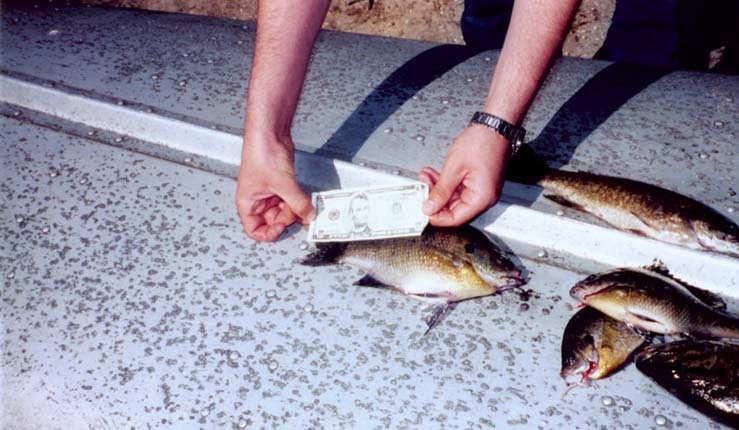 Click here to view pictures from the 1999 fishing trip to the Pere Marquette. Click here for some snowy scenes from our 'Spring' steelhead trip 2000. If you want to see some pictures of me fishing for Pink Salmon in Ontario, CA in the fall of 2000 follow this link. Would like to view a little flash site of the 2nd annual 'You Were horsing 'em Salmon Fishing Trip' (Fall 2000). Here are the pictures from the 2nd year of the spring Steelhead fishing trip. This year there was a lot more fish and a lot less snow. I am currently in between a couple of fall Salmon trips. I have been back to Ontario with Rotecki and then again with the Horn / BBMM clan. These two trips have generated a lot of photos and even a few MPEG's. So watch for those to come. Plus the 2001 'You Were Horsing'em Salmon Fishing Trip' is yet to come this October. Stay tuned! 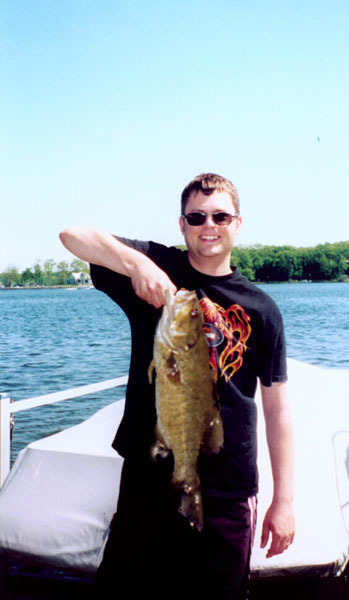 This past winter (2001-2002) the weather here in Michigan did not cooperate with the local ice fishermen. As a result I focused my energies else where and built my very own fly rod. I used a St. Croix IV 8 ft. 4 wt blank, with titanium single foot guides, made my own burl cork handle, and placed a maple reel seat on it. This thing is a dream to cast. It has already paid for itself. It helped me land this Master Angler size Blue Gill (11.25 inches long) along with this Bass. 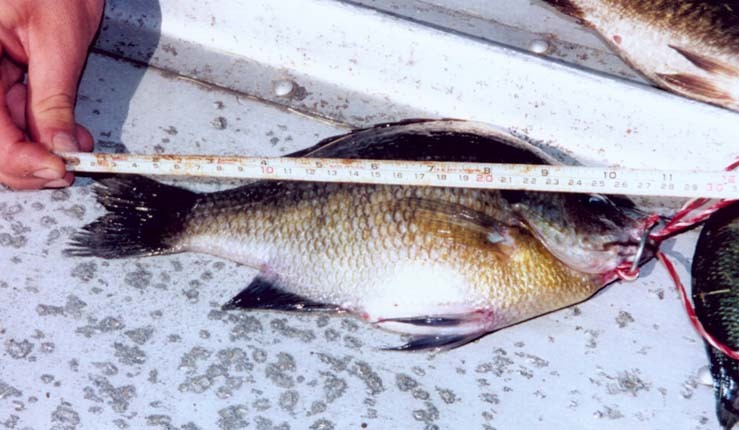 This particular fish (the 11.25 inch blue gill) )turned out to be the FIFTH LARGEST CAUGHT IN THE STATE for 2002 and got me 2 minutes of fame on the outrageously popular local PBS show "The Practical Sportsman". Follow this link to view behind the scenes footage (7.02 MB in window media format) of my famous TV interview. Here are some pictures from August of 2002. Dad and I went Fly fishing for the elusive Brook Trout in dah U.P. eh! 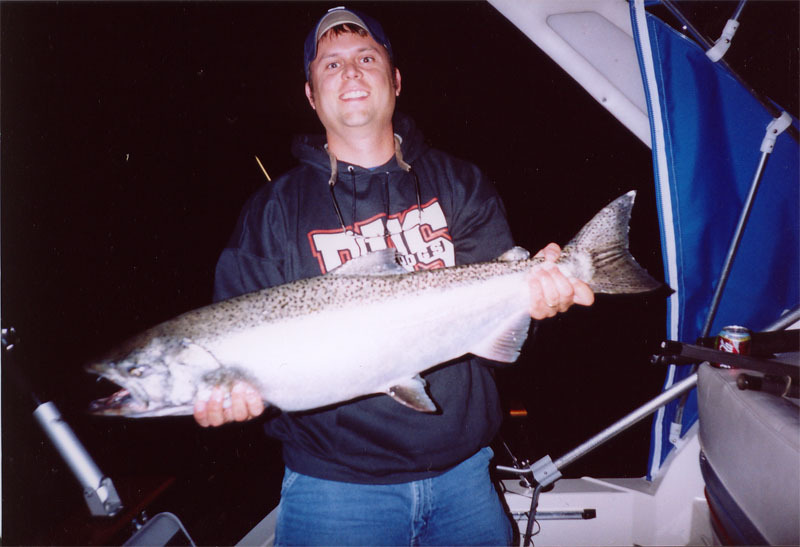 Here a snap shot of an 17lb Chinook Salmon I caught while trolling in near Ludington, MI in August 2004. If you are have any questions or fishing pictures you would like to submit email me- - - brady@bradyhorn.com .